Earlier in the year, IKEA announced the launch of its Food Is Precious initiative which aims to halve food waste in its restaurants by August 2020. To achieve this, the food and home furnishing group has chosen Winnow as one of its two key partners. Using our smart scale, IKEA can understand the source of its food waste, measure it, and thereby reduce it. IKEA has already deployed our cutting-edge technology to one third of its stores, and it aims to halve food waste at all its stores by 2020. In the first year of the initiative, IKEA globally has saved the equivalent of 500,000 meals, worth more than €1,000,000. We have interviewed some of IKEA’s food waste champions to give you an insight into how this is being achieved. 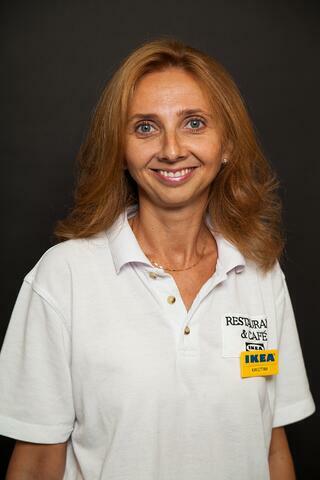 Today, Krisztina Santa, Food Manager at IKEA’s Budaörs store, in Budapest, tells us how her team has managed to save more than 9,500 meals from being wasted. How did you come to work at IKEA and what were you doing before? I arrived at IKEA four years ago to work as a Food Manager, the same position I have today. Before IKEA, I worked for a flight catering company for more than a decade. I started as a supervisor and progressed up from there - by the time the company closed I was a Deputy General Manager. What inspired you to work with food? I have always wanted to work around people. After finishing school I thought of becoming a teacher, and then of working in a hotel. Both professions require constant interaction with people, but none of them are necessarily related to food. My interest in food started at the end of my time at college, when I had to choose a topic for my thesis. It was 1998. Back then, I was really interested in studying hazard analysis and critical control points (HACCP), the systematic preventative approach to food safety. The flight catering company I ended up working for was the only food corporation in Hungary that was applying this principle. I joined the team, and I had such a great time there that I ended up realizing that serving delicious food is the best way to reach people’s hearts. So that’s how I became inspired to work with food. After finishing school, I went to a restaurant and hotel management college in Hungary. I really enjoyed my time there, and it was a great learning experience. In my opinion, however, there is no better way to learn in this industry than by working. I have learned almost everything I know today from putting the theoretical knowledge into practice and facing the real challenges that appear every day. What challenges did you face when you decide to cut waste from your kitchen? Our major challenge has always been related to production planning. Looking for ways to cook the right amount of food, both at quiet and busy times, while always making sure that we don’t run out of any dish or ingredient. The second biggest challenge we faced when we decided to cut waste from our kitchen was changing the mindset of our team. Some of my colleagues were afraid of using technology, while others were just scared to change because they had been doing things the same way for a long time. Fortunately, the training process was successful and the team soon realised that the Winnow system is very easy to use. 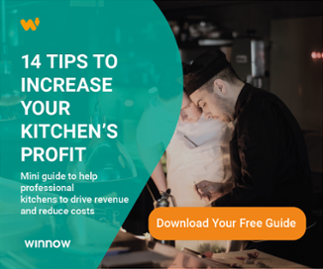 When introducing any change to a kitchen it is extremely important to explain to everyone the reasons why it is happening and how it will help the operation. This is the best way to achieve the collective buy-in of the kitchen team members. With the help of the Winnow system we can identify the most wasted products or dishes, why they are being wasted, and at what time of day waste is occurring. 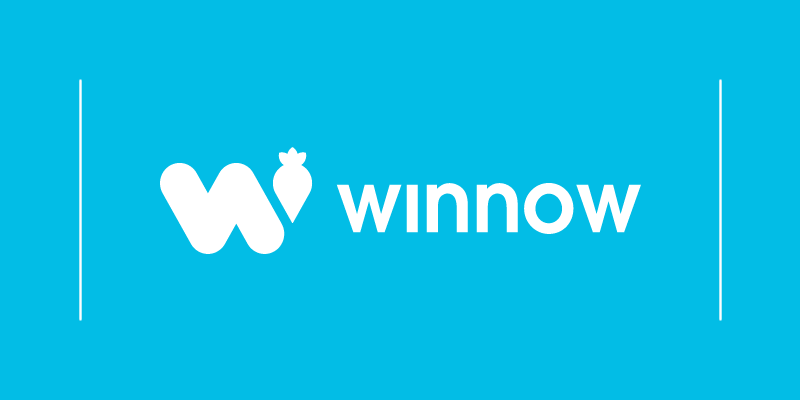 Winnow also tells us the exact amount and the value of what is being wasted. One interesting thing we realized from the reports was that we were consistently wasting a lot of soup at the end of the day. So we simply started producing it in smaller batches in the afternoon. Today we cook less soup, but we still have enough. We also realized that sometimes we waste food due to problems with the quality of our ingredients. In order to fix this we have been having regular conversations with our suppliers to make sure we get high quality ingredients all the time. Right after the Winnow system was installed we dedicated one member of the team, a team leader, to coordinate our waste reduction project. He is now in charge of the training process as well. Then, after everything was set up and the entire team was trained, we started focusing on analysing the reports to understand exactly where our waste was coming from and why it was happening. From this point, we began studying ways to adjust our production volumes. There are now certain dishes that we don’t cook as much of or as often as we used to. How do you think technology will have an impact on how customers engage with stories of food and the kitchen? I believe kitchens will become more dependent on technology. This will have an impact on customers, especially in relation to standardising both the quality of the service and the food the customers are eating. In the future, I see technology helping managers even more by giving them new insights into their operations. It will help them offer the best customer experience they possibly can. I go to trade shows and I read magazines. I also get a lot of information from the National Food Chain Safety Office. In addition, I learn about the latest food trends from the IKEA internal communications team. They are great at keeping all of us updated with what is happening in the industry, both from a local and an international perspective. It was because of their insights that we learned that IKEA customers are increasingly becoming more interested in food quality, food safety, and sustainability. All the global and local IKEA initiatives now support this market trend. At the Budapest store, for example, we are offering more and more vegetarian options. We’ve reduced the amount of sugar that we use in our dishes, we have gluten-free desserts, we purchase certified products, and we try sourcing from local farms as much as we can. In a near future, we will be using a new system to track and communicate the nutrition values of our dishes as well. In the future, sustainability will be even more important. Apart from using Winnow to prevent food waste in our kitchen, we have recently installed a new dishwasher system to help reduce the amount of water we use. We are also upgrading the water softener we use so that we make less use of chemical products. We always consider sustainable options when planning our next investments. If you could give just one piece of advice to colleagues on how to tackle food waste, what would it be? First, we have to be aware that food waste is a serious problem and that we can all do something about it. Here at IKEA Budapest, we are always trying to show to the team that reducing food waste should not only be part of their work, but that they should also be thinking about it at home. In our staff canteen, for example, where we serve more than 300 people every day, we are always reminding people to be conscious of waste and to only put on their plate what they are actually going to eat. Simple tips like this can make a big difference. I admire all chefs who are dedicated and work very hard to cook the best and the most delicious food for their customers. I do admire some famous chefs, but I tend to value the average chefs even more. They are the true heroes. Nice atmosphere, good service and a delicious meal. That is what I really care about. The best meal I’ve had was at a steakhouse in Prague. I went there last year. Unfortunately, I don’t remember the name of the restaurant, but I’ll never forget the meal I had there. It was simply delicious. The atmosphere was great, the service was exceptional, and they had an open kitchen allowing guests to see everything that was going on there. I had an incredible time. I really like grilled meat and fish seasoned with fresh herbs. I find a lot of dishes like this in Mediterranean cuisine. Because I love Mediterranean food, I would say that Italy, Spain and Greece are the best places to eat in the world.